It is the second largest canyon in Arizona. The Grand Canyon is the largest. Sycamore is a huge 56,000 acres and almost all of it is only accessible by foot or horseback. Backcountry enthusiasts will experience hiking, rock climbing, horseback riding, swimming, fishing and wildlife in one of the country’s most stunning yet least visited landscapes. The colorful cliffs, with towering pinnacles, arches, mesas and buttes, will astonish the first time visitor and continue to amaze those who return for even more scenic wonder. Sycamore Canyon provides many outstanding vistas for photographers and artists to capture nature’s symphony of color and form. 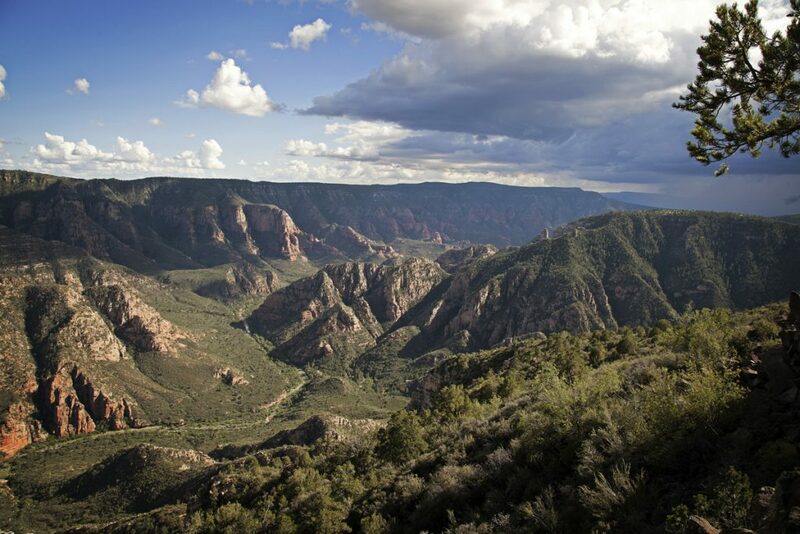 It is as fine an example of Arizona’s Red Rocks as the canyon’s more famous sister, Oak Creek Canyon to the east. Sycamore Canyon extends from just south of Williams, Arizona down to Clarkdale and Cottonwood, Arizona which is near Sedona, AZ. 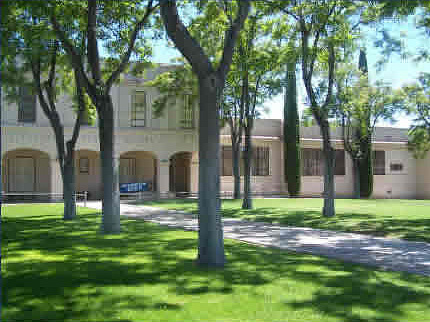 Visitors can enter Sycamore from the north or south ends of the canyon depending upon a particular preferred trail. Parsons Trail is perhaps the most hiked trail in the canyon and can be accessed just north of Clarkdale, AZ. There are 11.3 miles of trail within the designated Wilderness Area with most trails rated as moderate with a few strenuous stretches. Elevation at the forested north area of the canyon is 6,800 feet dropping to 4,800 ft at its lowest point at the south end. Kelsey Winter Trail, Little L.O. Trail, Dorsey Springs Trail, Taylor Cabin Trail, Winter Cabin Trail, Sycamore Rim Trail and Parson’s Trail make up most of the Wilderness Area’s trail system and have trailheads located off the Forest Service roads that traverse the canyon. 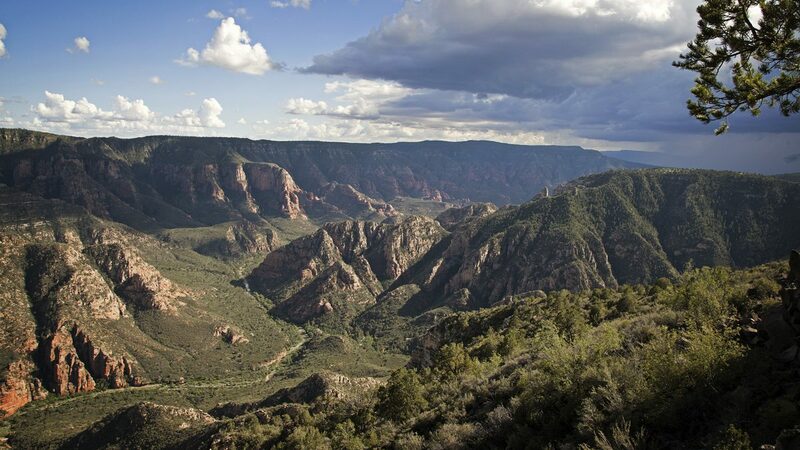 The Sycamore Rim Trail is most enjoyable during the warmer months as it takes visitors around the canyon’s upper rim through deep forests alongside several secluded pools. The canyon’s solitude makes these pools the perfect place to jump in and cool down during your summer hike. 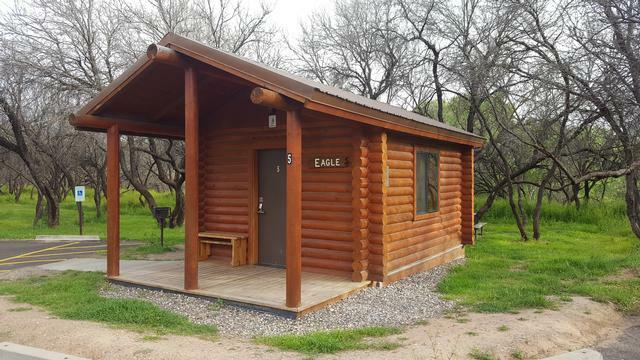 The Taylor Cabin Trail gives you the remnants of a real cowboy cabin from the American west. The Parson’s Trail is one of the most fascinating as it makes its way through a lush desert riparian habitat. Forest road access to some trailheads can be quite rough in spots. During the winter, heavy snow on the northern edges of the canyon can make some of the roads impassable. Monsoon season can limit accessibility through the forest roads. 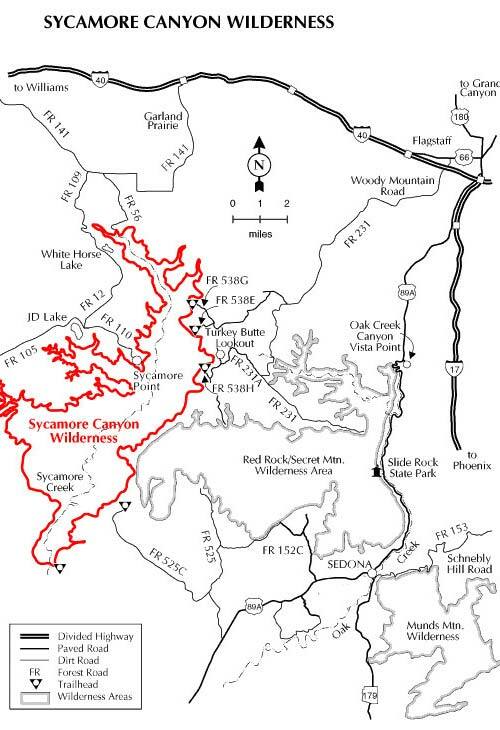 Wilderness Area maps, including hiking and access trails are available from the Coconino Forest Peaks Ranger Station in Flagstaff or from the Red Rocks Ranger District office in Sedona.